When it comes to the men’s fashion wardrobe, the addition of the check shirts are some of the essential clothing items which should always be stocked up because of the grace and appeal they flaunt with the causal getups. Surfacing always as some of the very popular trends in men’s wear since decades, they having catered to the causal and semi formal needs of men and boys are now out in smarter designs and styles which make them apposite for even official and other formal use. They are some of the very effortless printed designs which mark a very unique impression and so it is worthwhile to know the new added looks in fashion that have been fused to offer more. 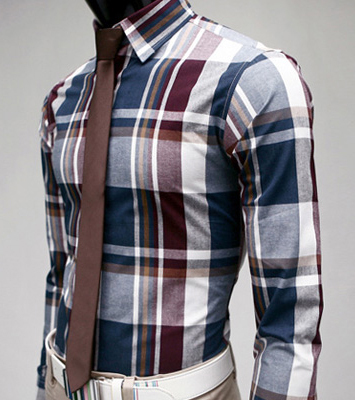 Some of the best check shirts for men have such a unique touch of concept that they can easily be worn as a good outfit for the office. Checked shirts have diverse looks despite the similarity of the concept of the check style with variety ranging from the simple plain chess blocks having two contrasting shades to the variety including linings in the block styles. Furthermore, the size of the printed check styles in the small, medium and large designs is another factor that gives the altered look to these causal and formal shirts. The fusion of some new concepts like contrasting collars, pocket flaps and cuffs has given these shirt styles a more refined look that is fit for smart and trendy appeal that has a new outlook and more grace than the simple plain check shirts fashion look. 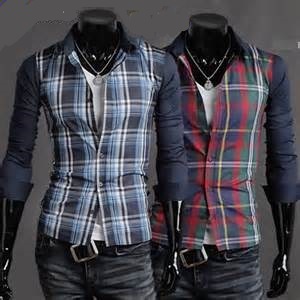 Another very hot trend in the latest designs of shirt styles is the diversity in the styles of the collars; which include the English, broad, open, flap styles being some of the very catchy looks that are stitched in contrasting dominating shades of the check prints to mark the conspicuity of the design all the more.